Oh how sweet of you Deborah! 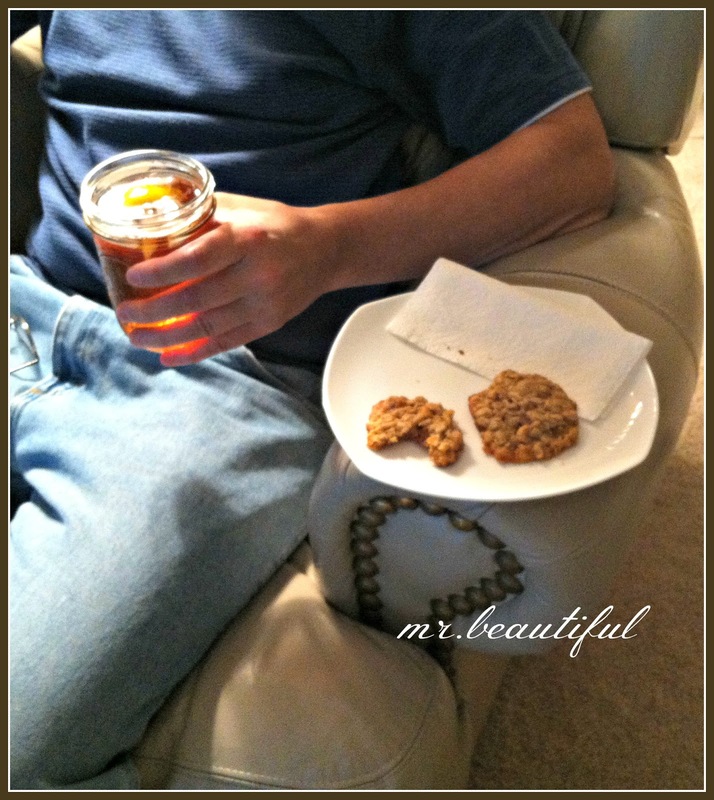 I bet Mr. Beautiful and your son loved the ice tea and cookies! 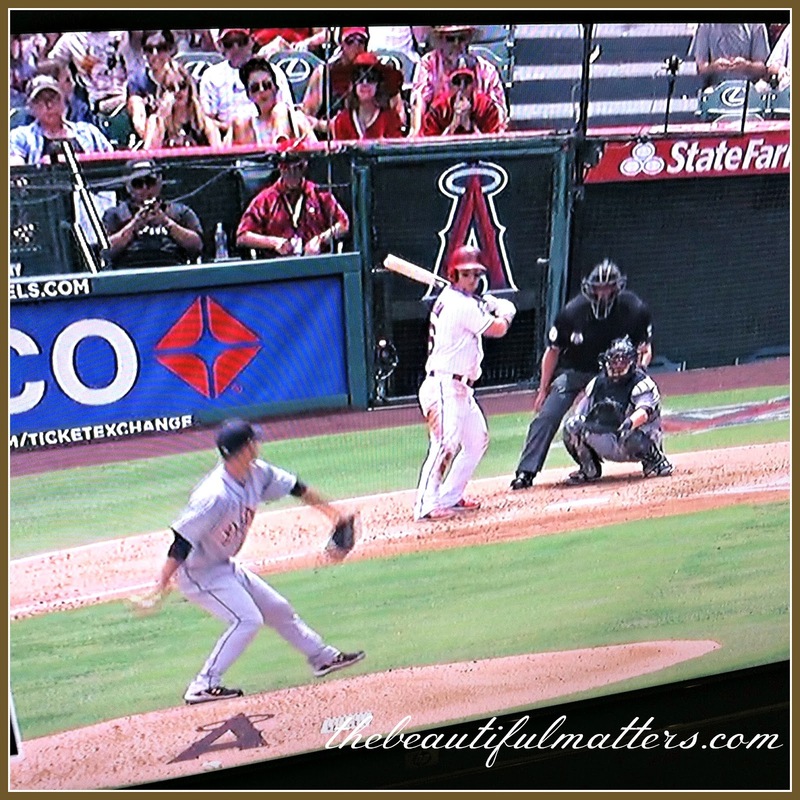 My husband was doing the same today watching baseball! Take care and enjoy your week! My Mr knows exactly which things may go in the microwave and dishwasher. His job is to adore me; but he is still in training. Your Mr B seems to know that rule about no dirty clothes as well as the one about eating with no mess. Courses for horses. Beautiful tea Deborah and those cookies look heavenly. I am sure your family loved them. My Mr. CMD loves baseball too and still, after all these years, follows what happens with the Tigers. He loves the Rangers here in Texas too. 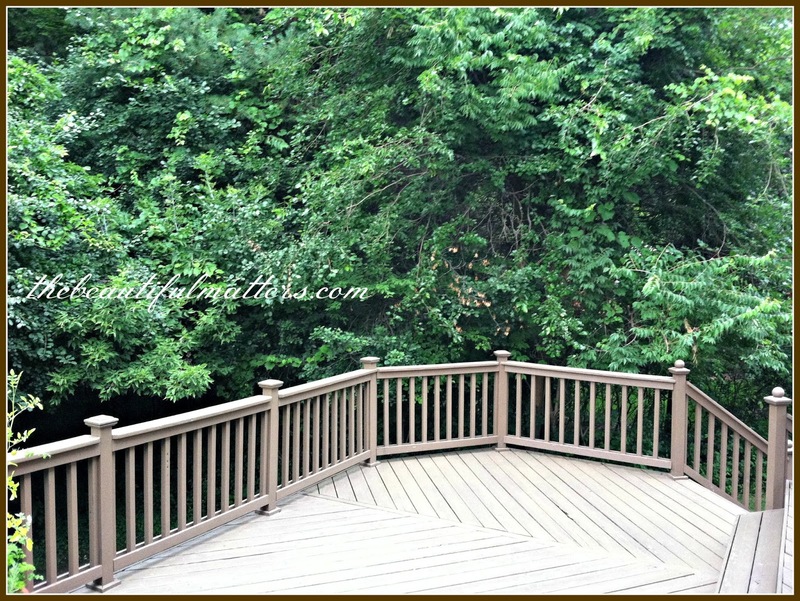 Your deck with trees trimmed looks wonderful. It is a lot of work but so worth it when complete. Love the white plates. Have a great day. haha, Alison you made me laugh! Sure our hard working husbands love it when we pamper them with some favorite snacks or food! 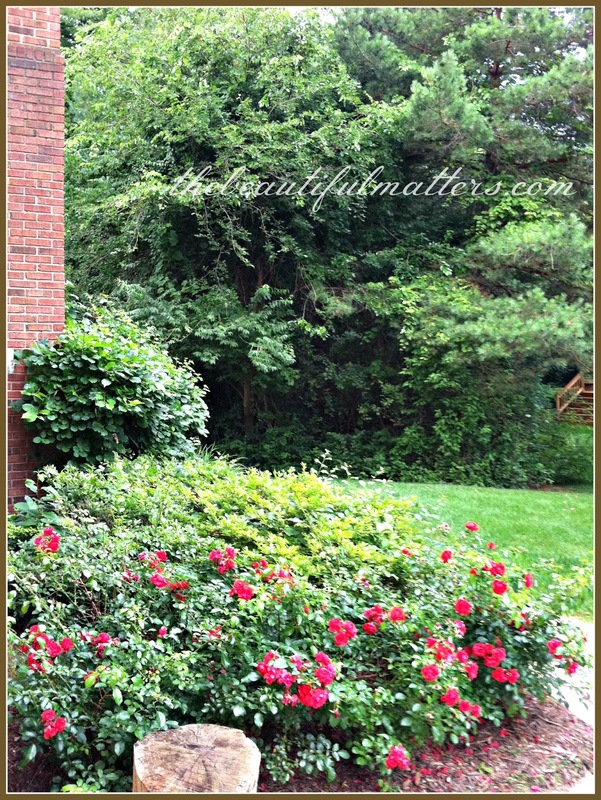 It is hard work to keep up a garden and a home; we know first hand about that ourselves. Love this! 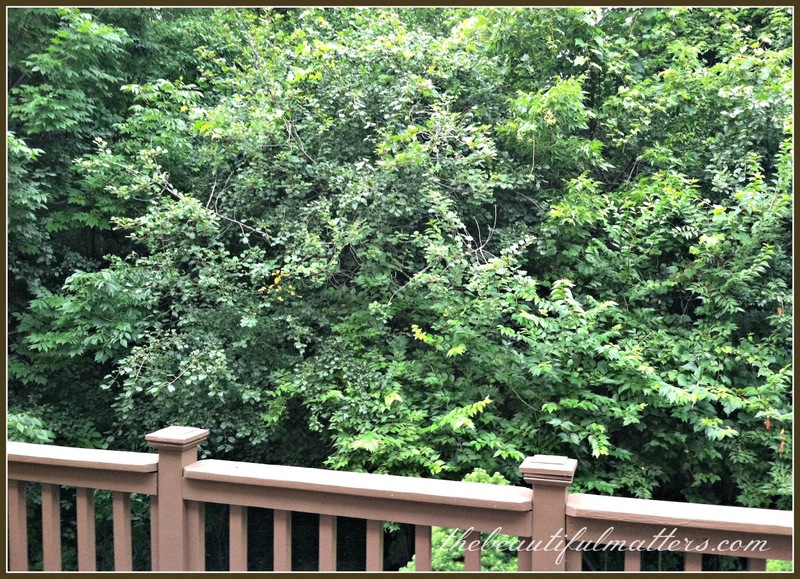 LOVE the deck... I think I would spend every moment there. And I especially like the remote on view in the first photo...... a great touch of "Mr.ness" - for sure. 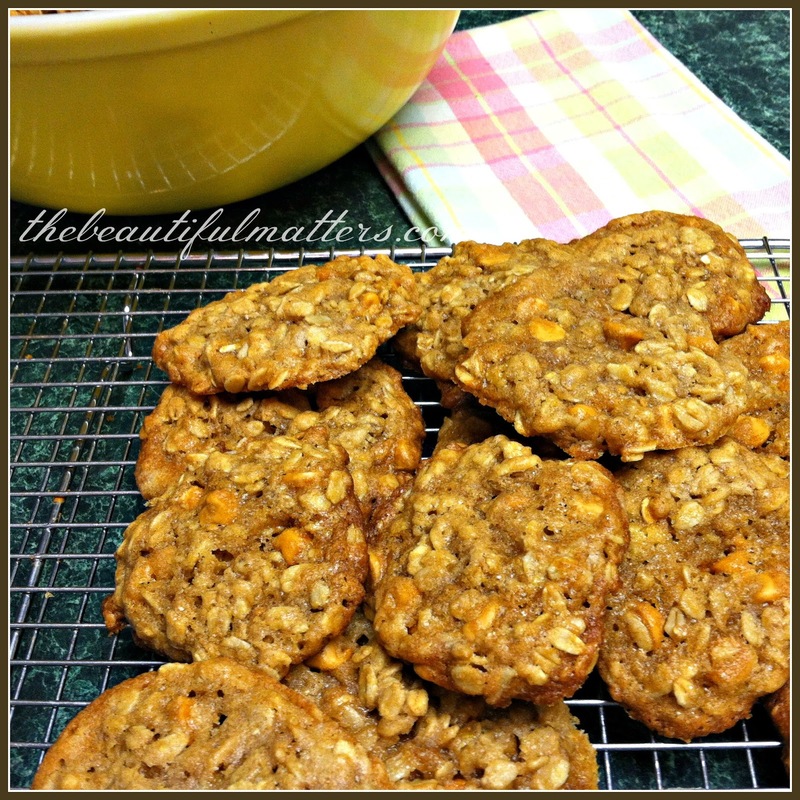 That is a nice story about you and Mr. B. and those yummy looking cookies. Very fun! I love the Mason jar mugs...my honey would approve as well...although as a Brit he's no stranger to the china teacups. We did mugs for the World Cup ! Thanks for linking to Tuesday Cuppa Tea! Lots of baseball watching at my house. And my dh loves his iced tea. I make it using Constant Comment as he likes the orange added flavor. How fun.... my husband enjoys the tea time also.... as long as it is a bit substantial. :) Thank you for sharing this. 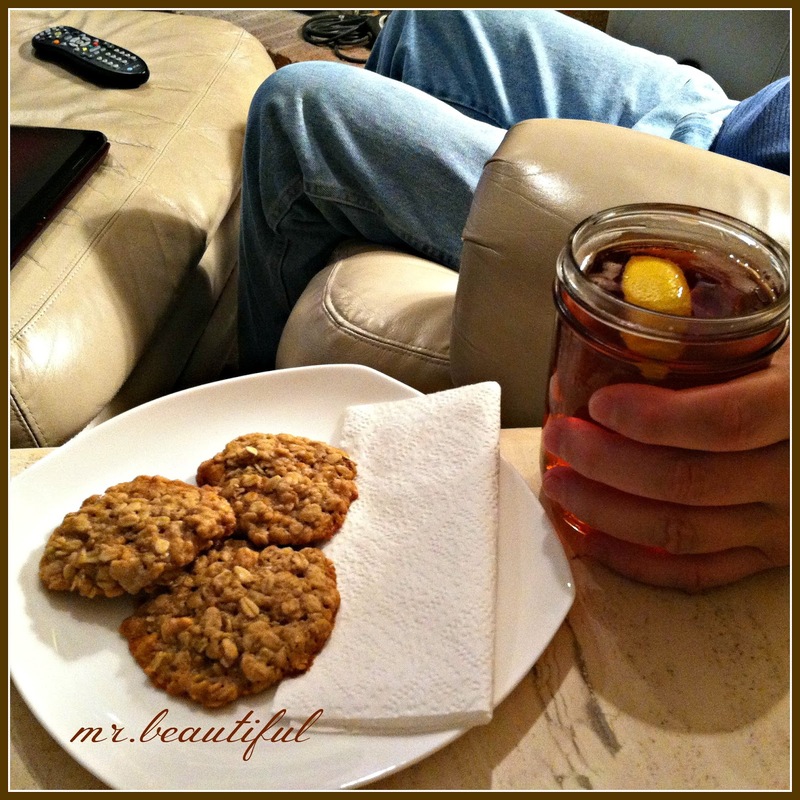 I'm sure your sweetie enjoyed his iced tea and yummy oatmeal scotchies while relaxing after working so hard, Deborah! My big, rugged hubby always enjoyed hot and cold tea, too. Love and blessings to you, my friend. When our hubbies do all that yard work for us, baked treats and a cool drink are a just reward.